US Oil Sands say their approach eliminates need for tailings ponds, requires 50% less energy input than traditional oil sands projects and recycles 95% of the water used. US Oil Sands (CVE:USO) had a down day on Tuesday dropping 7% ahead of announcing approval of a US Patent application for its bitumen extraction process. The $110 million company is showing losses for 2014 – it is down 13% year to date, but up 23% on the Toronto venture market compared to this time last year. The Calgary-based company has a 100% interest in bitumen leases covering 32,000 acres of land in Utah's Uintah basin, the largest on state land in the US. 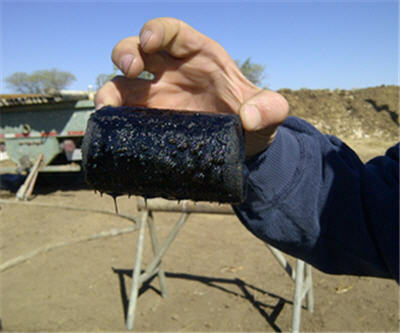 The company raised $81 million in October last year and holds the only commercial bitumen extraction project permitted in the US. Said Cameron Todd, CEO of US Oil Sands: "We believe our bio-solvent based approach to oil sands extraction is a true game changer for the industry, as it has the dual-benefit of reducing the environmental footprint of an oil sands project and lowering capital expenditures by as much as 75% when compared to existing oil sands mining projects." The PR Spring project resource is 184.3 million barrels an US Oil Sands is targeting initial start-up for 2015. The company uses a modular construction method allowing for rapid construction in 2,000 barrel per day phases. The initial 2,000 barrels per day commercial demonstration facility is expected to cost around $30 million to construct, while subsequent phases could be added at a cost of $25 million, according to company literature.